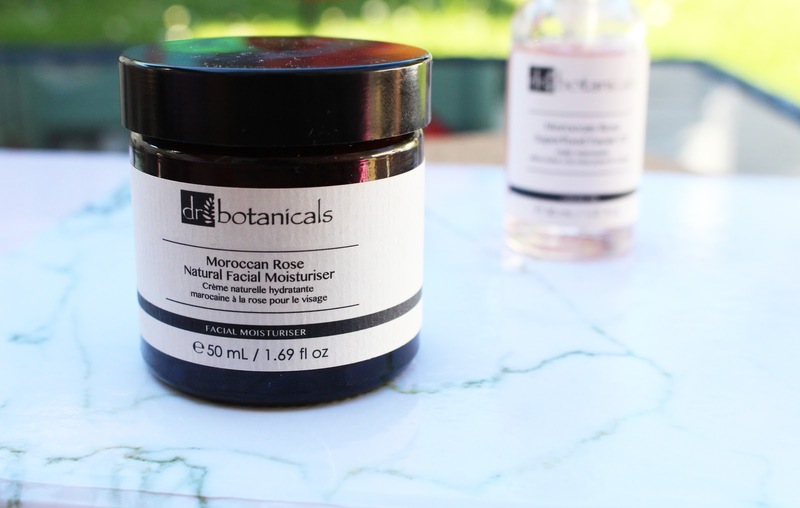 A few weeks ago I was contacted by the lovely people at Dr Botanicals, to see if I wanted to test a few pieces from their new Moroccan Rose range. 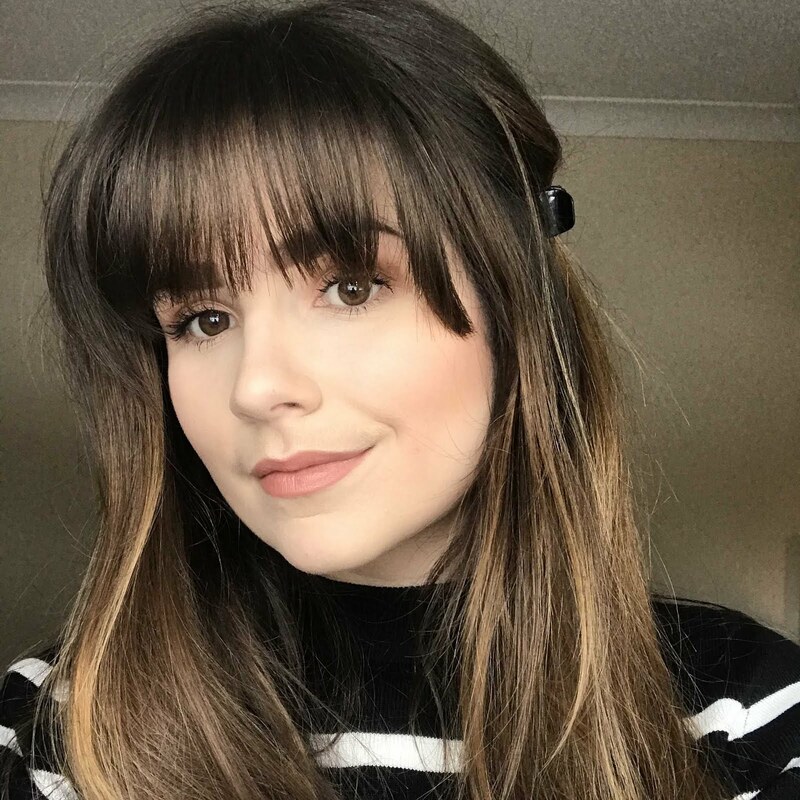 I always enjoy working with skincare brands as I find my skin can get used to products very quickly and therefore I need to change it quite a lot. 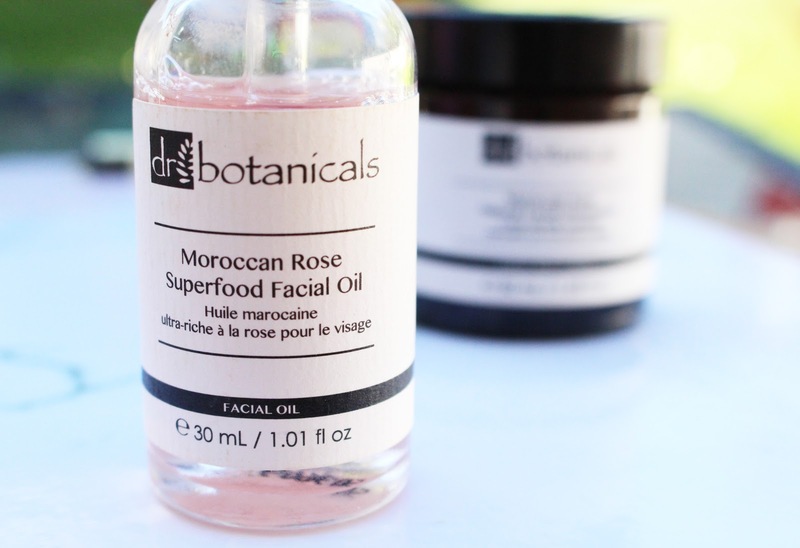 I received the Moroccan Rose Superfood Facial Oil and the Moroccan Rose Natural Facial Moisturiser. When they arrived they came packaged beautifully in a brown box with explanations of each. Both feel very luxurious and have a very simple design and logo. I’d heard of the brand before though I had never tried any of their products. I’ve been using both of these products for the past few weeks and have been amazed at some of the benefits I have seen from them. Over the summer I find I can get a fair few dry spots, whilst I love my current moisturiser (which you can read about here). I have to say I feel that this particular duo, along with some of my other favourite products, has really helped to clear those patches up. The oil is lovely, infused with rose which makes it this beautiful pink colour. I apply it before the moisturiser and dab it onto my skin, they state only 3-4 drops is needed but I do find myself reaching for a few more drops to add. Then the moisturiser, which is simply beautiful. Both products have an amazing scent, which I believe for some people may be slightly over powering. The scent at first is a slight shock, thought after a few uses it’s easy to get used to. Like with the oil, the moisturiser also has a slight pink tinge to it and is a nicely thick cream. Which I really like, as I feel it really sinks into my skin to help with the dry patches. 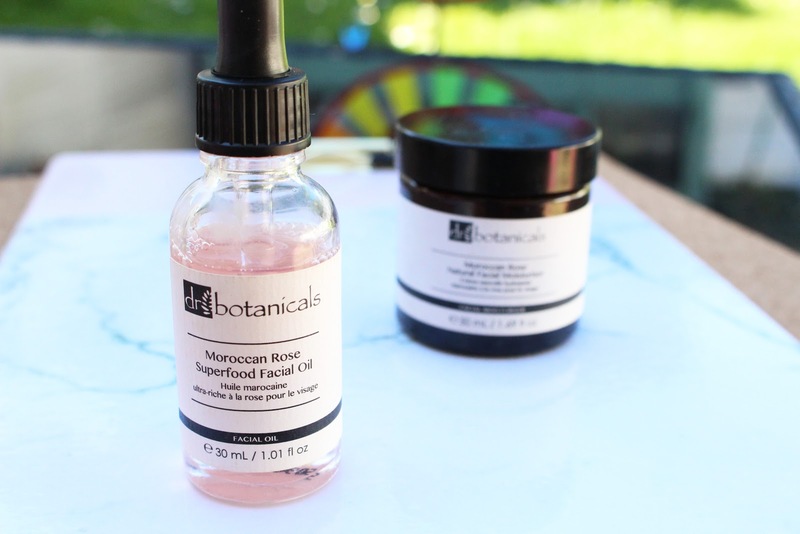 Whilst comparing the two products I definitely like the moisturiser more, as I worry that the oil has started to cause a few breakouts on my chin. Therefore, I feel that I won’t be continuing with oil until they have cleared up! The moisturiser I really like and will probably save it for the days when I feel I have super dry skin! What’s your go to skincare?